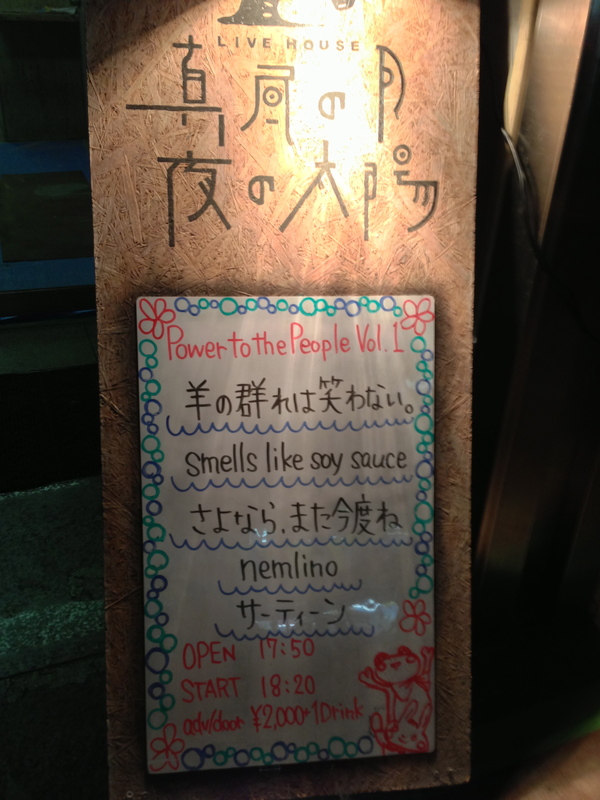 This entry was posted in ライブ and tagged nemlino, smells like soy source, さよなら、また今度ね. Bookmark the permalink. One Response to "Power to the People vol.1"